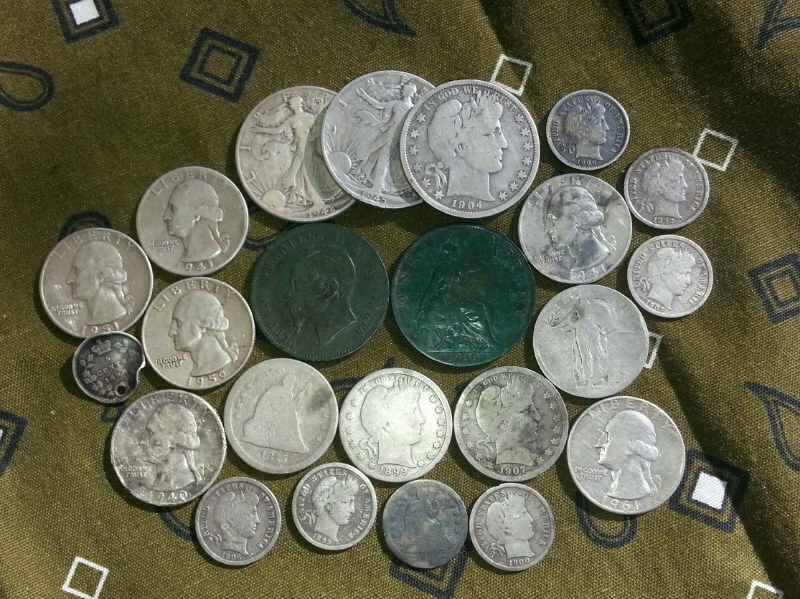 I’ve been talking advantage of the warm weather and finding silver. I picked up another Barber dime and three Mercury dimes. Considering how much I’ve been out, I hoped for more. The recent finds were in areas I hunted before and just flat out missed them. They were deep and iffy, but I should have found them. I noticed here recently if I go a while without hitting a good sound my sweeps are faster and sloppy. I need to work on that. I’ve been exploring new places trying to find a new hot spot without much success. There out there and I will find it. It just take a lot of time and perseverance. I also picked up four Indian head pennies. I love finding those. Two of them were only about three inches deep, but in a wooded area. I would love to pound that area, but it’s brushy and full of trash. You can barely move around and there’s minimal room for sweeping a coil. I hope everyone’s getting out and finding cool stuff. Best of luck.